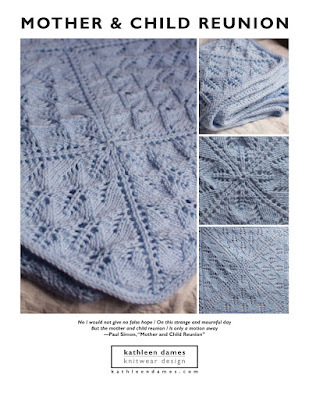 Lace is a wonderful project for travel—one ball of yarn, one set of needles­—whether you’re flying across the country or washed up on a deserted island. And Aphros (Greek for “sea foam”) is an airy and elegant stole that can serve as cover for your evening gown or over-sized scarf for your everyday ensemble. Gently undulating seafoam stitch, simple yet beautiful, forms the body, while a lacy edging adds a graceful flourish to the ends. One skein of yarn + one needle + one pattern = perfect travel knitting!